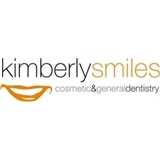 Kimberly Smiles (Chicago) - Book Appointment Online! It is our belief that quality in dentistry is never an accident. It is a result of sincere intention, diligent effort and purposeful direction by a well educated team combined with the finest technology, equipment, and materials. We take great pride in being able to provide excellence in your dental care and believe that the truest measure of our commitment to this is the continued education and training that goes far beyond the basics of general dentistry.